Trend Alert: Teal Appeal at ESQUE by Saher Qadir! Teal is a glorious rich hue that’s easy on the eyes and has really caught our attention recently. This versatile shade can be used simplify and effectively in any room! We can’t seem to get enough of these gorgeous polished teal pieces by Esque Furniture, the brainchild of the super talented Sahar Qadir . This season opt for one of these quirky and fun Esque teal accessories – be it cushions, a carved bench or small accessories like planter bins and trays – to punctuate a neutral scheme or juxtapose with vivid brights for a contemporary buzz. The sophisticated tone of greeny- blue is guaranteed to bring a touch of class to your space. Sahar Qadir never fails to disappointment us with her work and this time it’s the teal appeal of her work which we can’t stop obsessing over. Pieces are exclusively available at the ESQUE studio Karachi. Here’s a look at some the current teal favorites from the ESQUE collection. What's in Store? : Cross Stitch Fall'15 Eid Collection! What's in Store? 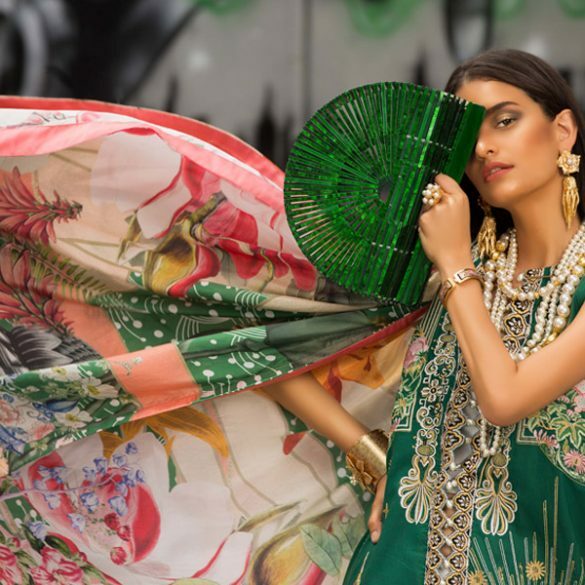 : Sana Safinaz Eid Silk Collection'15!